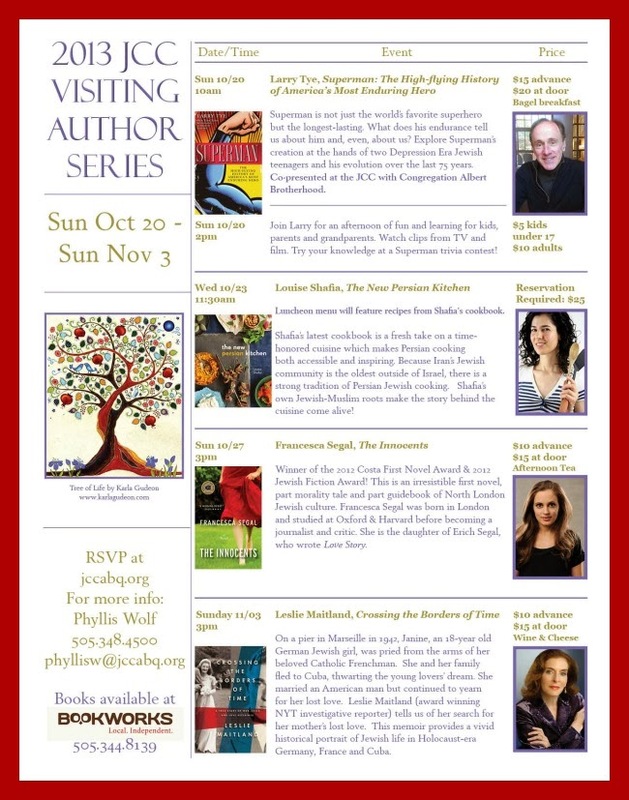 Superman: The High-Flying History of America’s Most Enduring Hero: The Jewish Community Center of Greater Albuquerque is proud to present our New Mexico Jewish community’s annual celebration of the written word. Superman, who turns 75 this year, is not just the world’s favorite superhero but the longest-lasting. What does his endurance tell us about him and, even, about us? 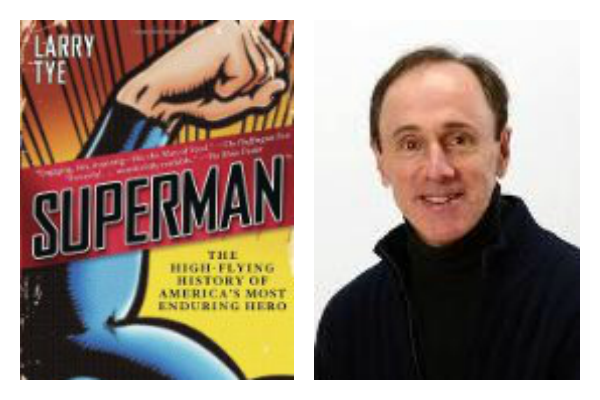 Author and journalist Larry Tye explores Superman’s creation at the hands of two Jewish teenagers in the midst of the Great Depression, his evolution over the last 75 years to capture the hopes and fantasies of each new generation, and a persona that speaks especially to our Jewish world, yesterday and today. Author and journalist Larry Tye tells us things about our favorite superhero that even his most loyal fans didn’t know, but will wish they did. Join him for an afternoon of fun and learning, about matters secular and religious, for kids, their parents and grandparents. Watch clips from TV and film, enjoy a slide show, and try your knowledge at a Superman trivia contest, with free books as rewards. You can read what Larry Tye wrote for the Albuquerque Journal here. And here is a forshbite (that’s Yiddish for hors d’oeuvres, one of the most-looked-up words on the Internet) of what’s in store for Albuquerque.